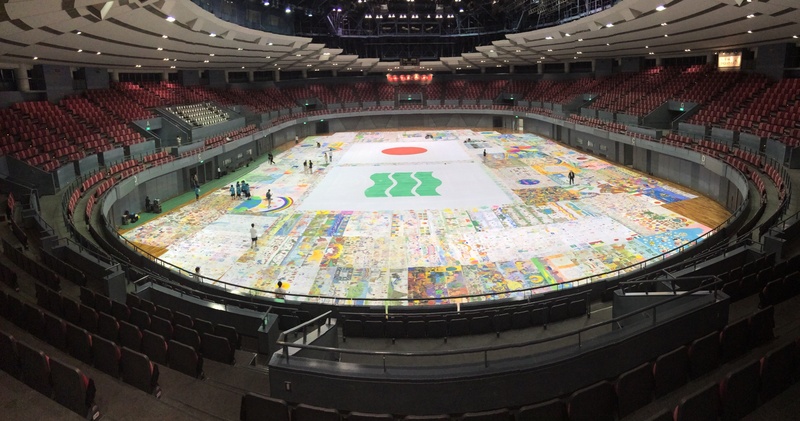 Visited Italy and Spain from Feb. 9 to have the children paint the Biggest Painting in the World in Italy and in Spain respectively. 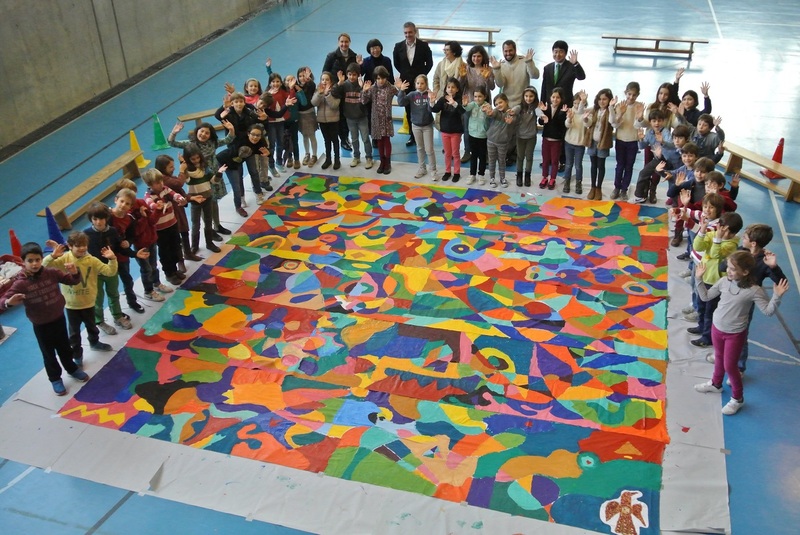 On 12th, the children in Madrid painted pictures through good offices of the Embassy of Spain. Mr. Terauchi and Ms. Kimura, who live in Madrid accompanied us. We had pictures taken in front of Monasterio de las Descalzas Reales in the old quarters of Madrid, one of the symbolic sites of Japan-Spain relationship, where Tsunenaga Hasekura was baptized 400 years ago. 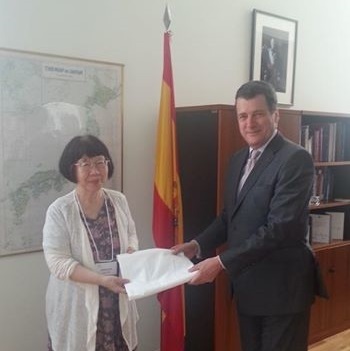 Paid a courtesy call to the new ambassador of Spain at the Embassy. It was decided that the Biggest Painting in the World in Spain would be painted in Madrid on Feb. 12 and be presented in front of Monasterio de las Descalzas Reales. Visited the Embassy of Spain and delivered the cloth for the Biggest Painting in the World to the Ambassador and his wife. Visited the Embassy of Spain and delivered the cloth for the Biggest Painting in the World to the Ambassador and his wife. They said the paintings would be done at about September.